This year, I’m thinking outside the box, and learning to grow and use a few more plants that contribute to a healthy lifestyle for myself, family and friends. It’s a learning curve for me. Skin care is one of those things we often neglect because there are so many skin care products on the shelves these days. Unfortunately, there’s also a plethora of chemicals added to skincare products. Growing and making some of my skin care products is a very new thing for me, but certainly worth a try! There are many books about herbal remedies; find one that you like and learn more about how to grow and use these wonderful herbs. 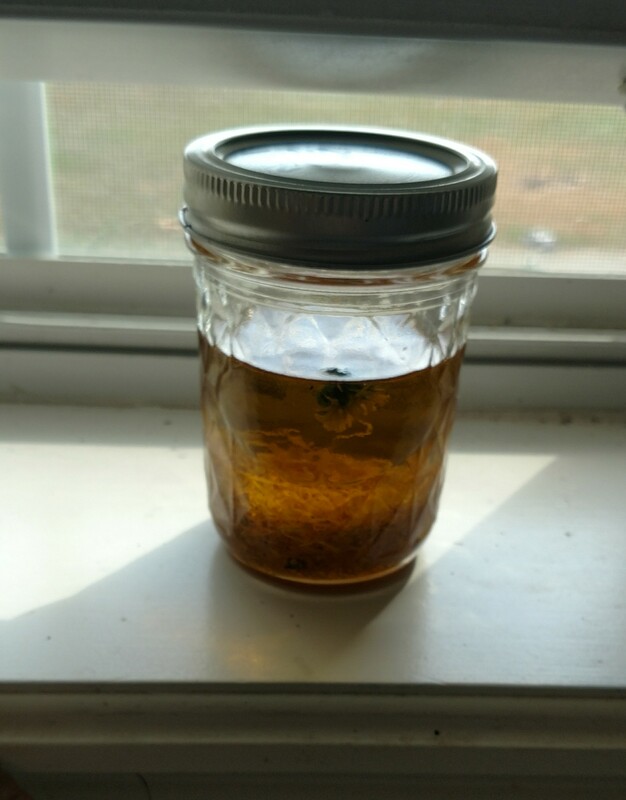 Calendula —Calendula officinalis (commonly called pot marigold) — is an herb that has a few remarkable abilities that assist use with personal health. A poultice can be made from the calendula leaves, and placed over insect bites. Recently I used a leaf poultice after having been stung by a red wasp on the bottom of my foot (always wash with soap and water before using any plant material poultice–see a doctor if reddening, swelling or discomfort persist. If you are allergic to bees, wasps, or ants, seek medical attention immediately!). It seemed to help sooth the burning sensations but not the irritating itching sensation. Dried flowers are used to prepare calendula oil that can be used topically on skin. Once picked, the flowers should be dried. I set them on a dinner plate and dried them in the house (beneath a ceiling fan). The process of drying took about 10 days total. Use the flower buds (cut off stems). Set in a window (warm, sunny spot) for about 3 weeks, then strain out the flowers. The resulting oil can be used to calm minor skin irritations like rashes. Making the oil was time consuming, and may not be worth the time invested for everyone — especially if you have a very busy life. You can also purchase food-grade calendula oil from most health stores, and use it for skin care. 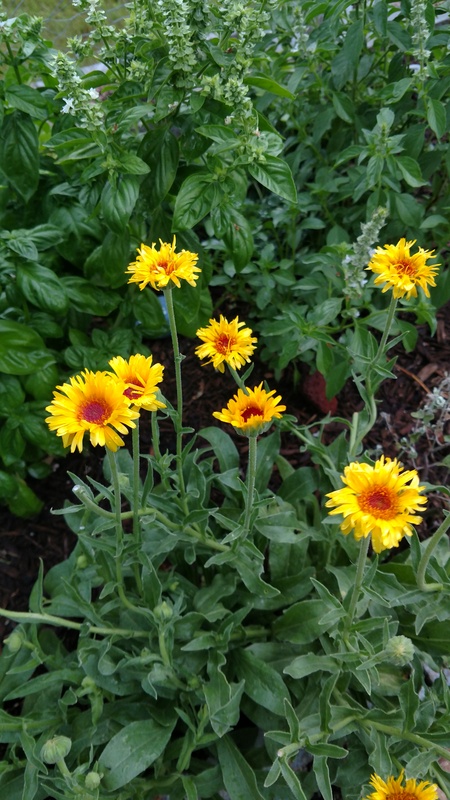 Learn more about growing and using calendula to benefit your skin and health. An updated post will be written once the oil is finalized.